In times of stress, it’s nice to have a deadline-free, pressure-free project to fall back on. 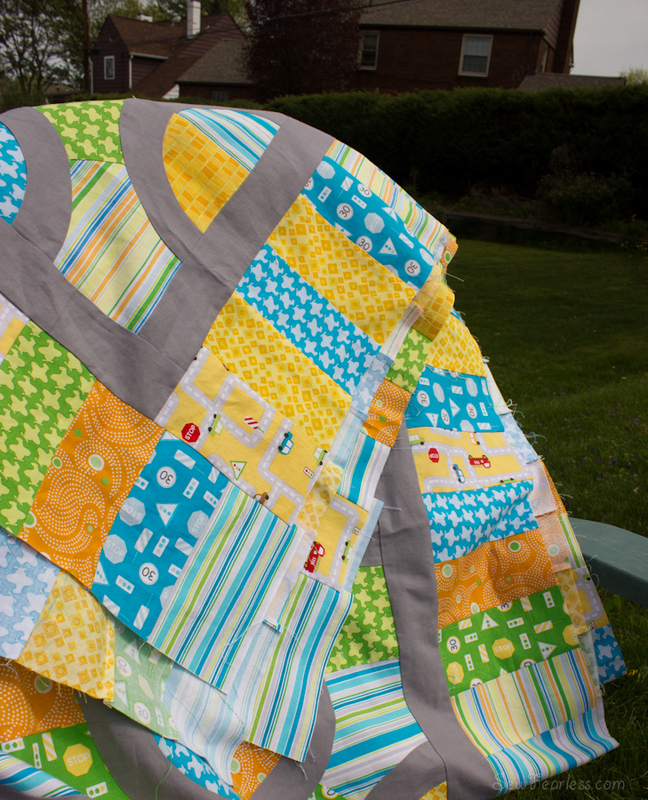 Duncan’s quilt has been that project for me. 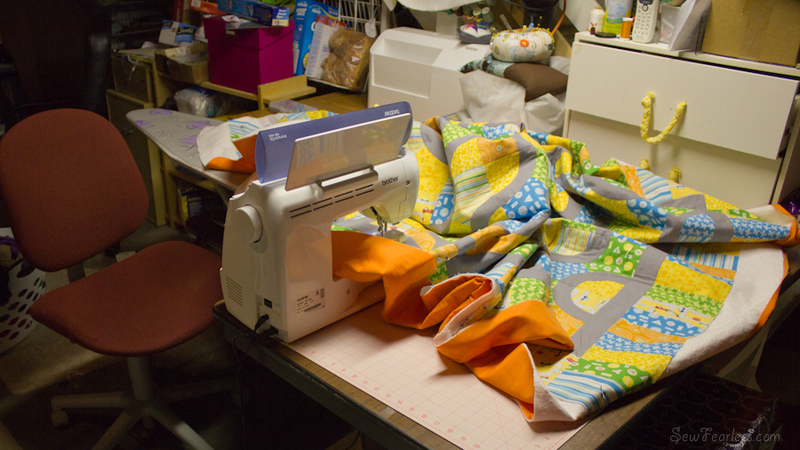 Then, it was time to make the “quilt sandwich”. 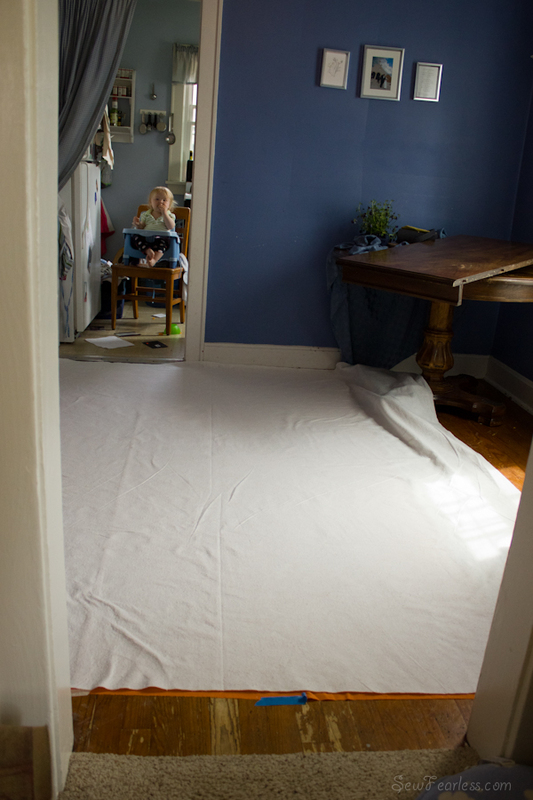 I found a Craftsy course by Ann Peterson about how to quilt a large project on a small. 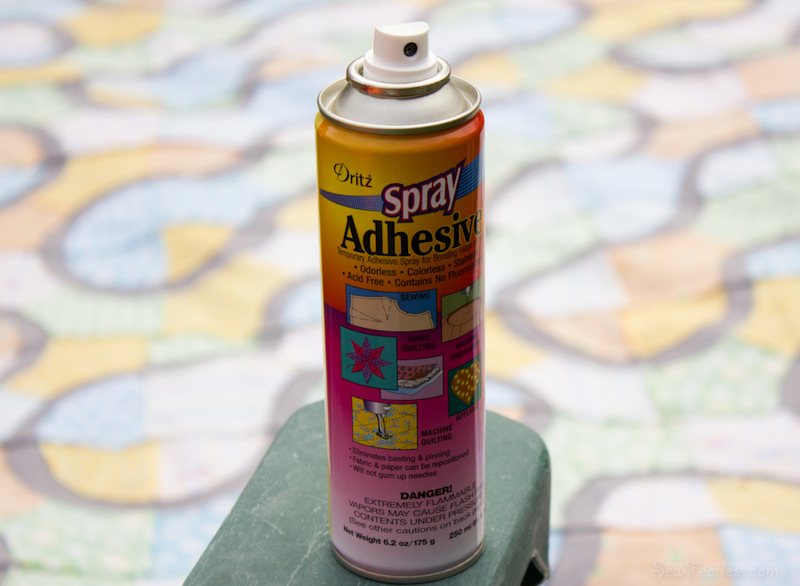 She recommended spray basting and I followed her directions for spray basting a quilt (details also found on her website). Then, I made the sandwich. Well, actually, first I made real sandwiches, and while the kids were busy with them, I made a quilt sandwich. 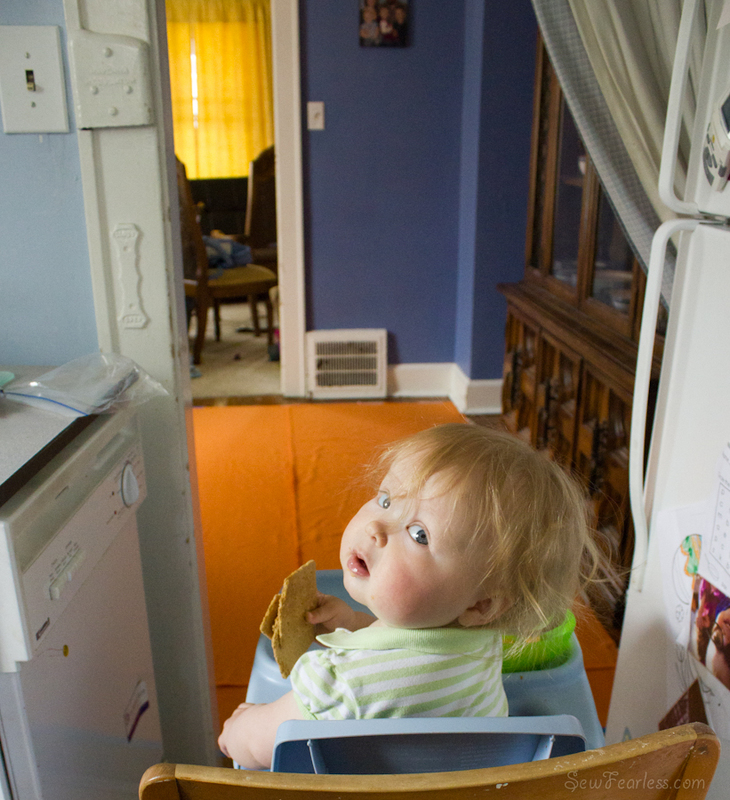 Our house is only big enough for this twin sized. 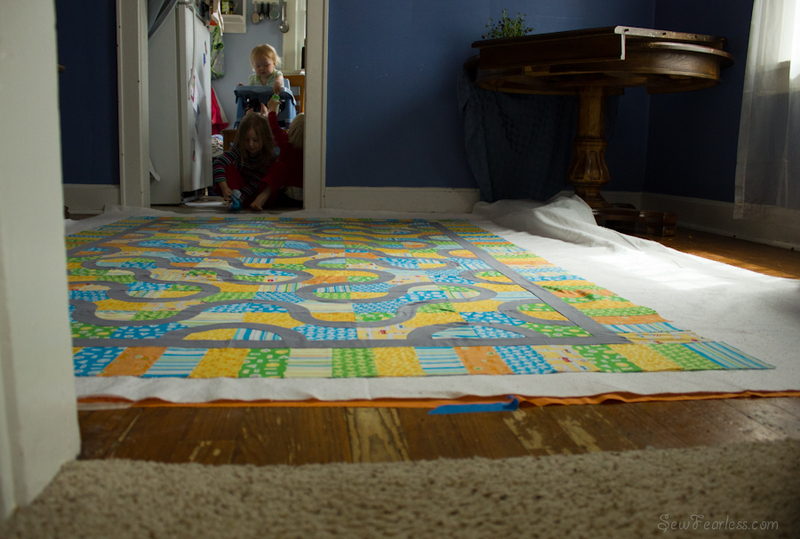 If I ever want to make a bigger quilt, we will have to move. I had to walk outside from the front door to the back door a couple of times to move to the other side of the quilt. There wasn’t room to walk around the quilt back and it was sticky with the spray baste. I didn’t trust the basting yet. So, I also put in a smattering of quilting pins. 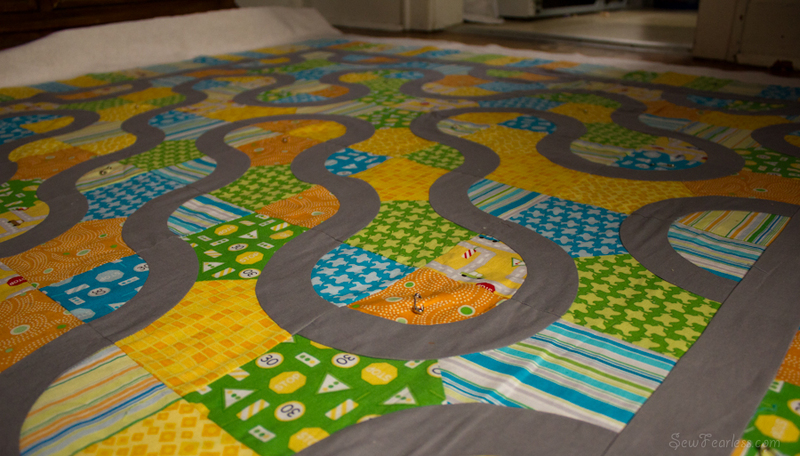 And last night, I started to quilt. I don’t want to leave with a picture of my Scary Dark Mom Cave. 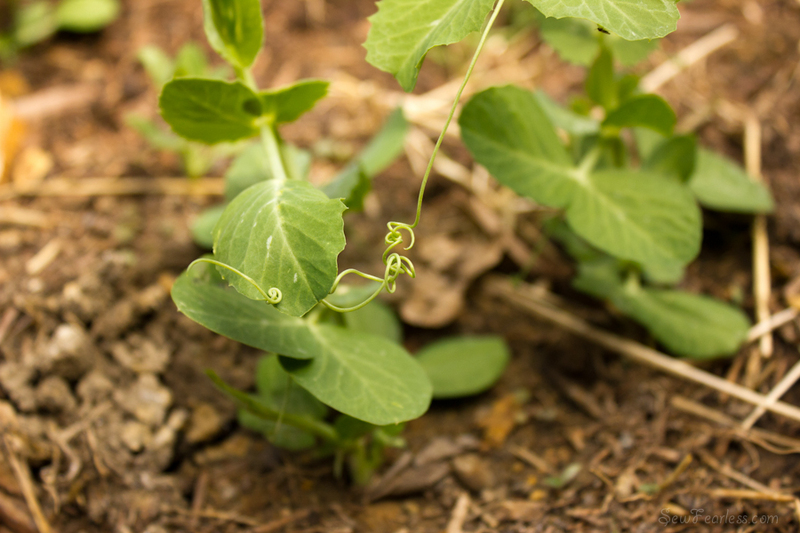 So, here is a happy picture of two of our baby pea plants holding hands. Love the quilt! The colors are beautiful. That’s such a cute pattern! What’s the name of it again? Kudos to you for returning to the project before too much time passed. I have a quilt that I was uber-enthusiastic about when I started it and it’s now been sitting unfinished in a closet for nearly a decade. Ack!